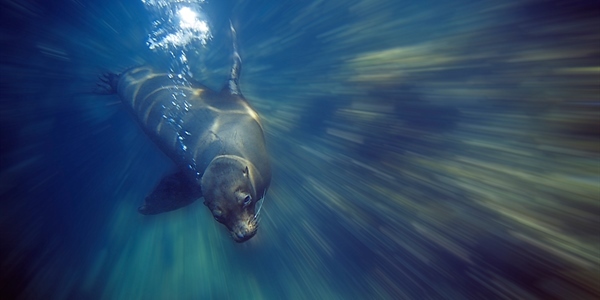 Get onboard the Galapagos Master for an authentic week of luxury and adventure. 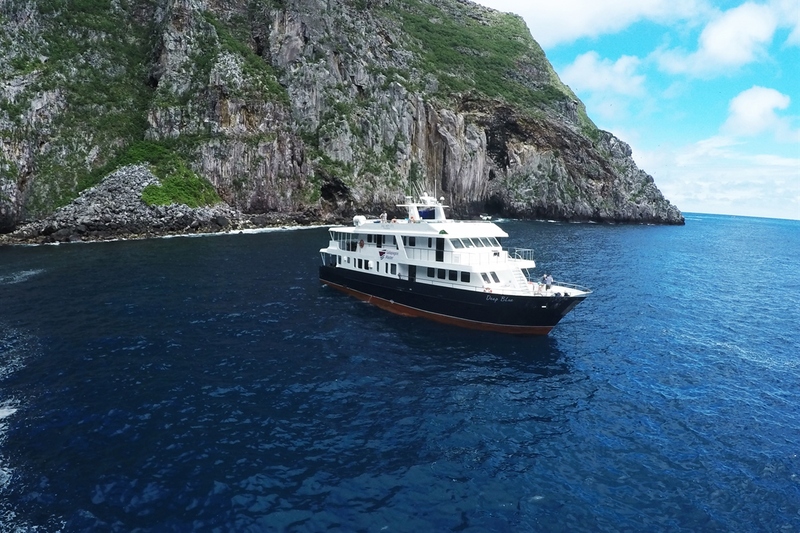 The Galapagos Master is the most eco-friendly liveaboard in the Galapagos Islands, previously known as Deep Blue she has now undergone a full refit and joined the Master Liveaboards brand. 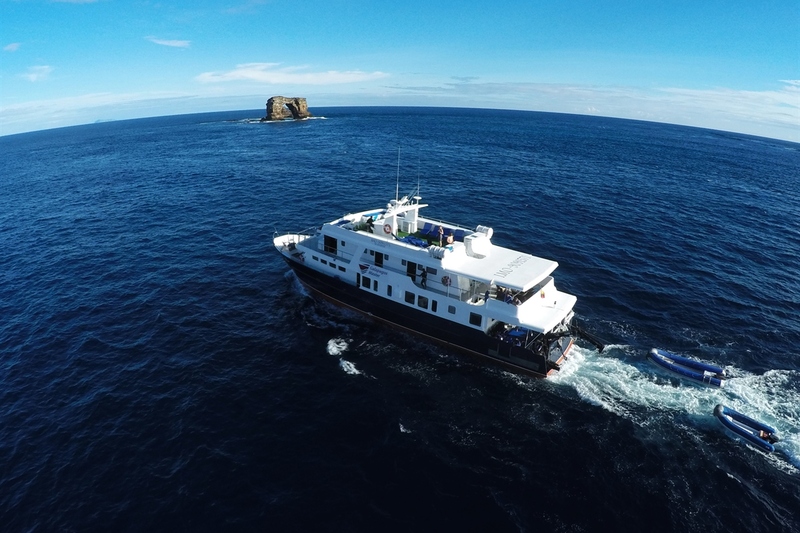 The Galapagos Master is the most eco-friendly liveaboard in the Galapagos Islands, previously known as Deep Blue she has now undergone a full refit and joined the Master Liveaboards brand. 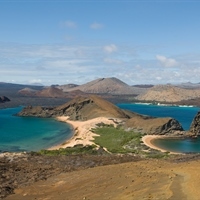 She departs from San Cristobal and offers 7 and 10 night itineraries exploring a number of sites around the Galapagos Islands. 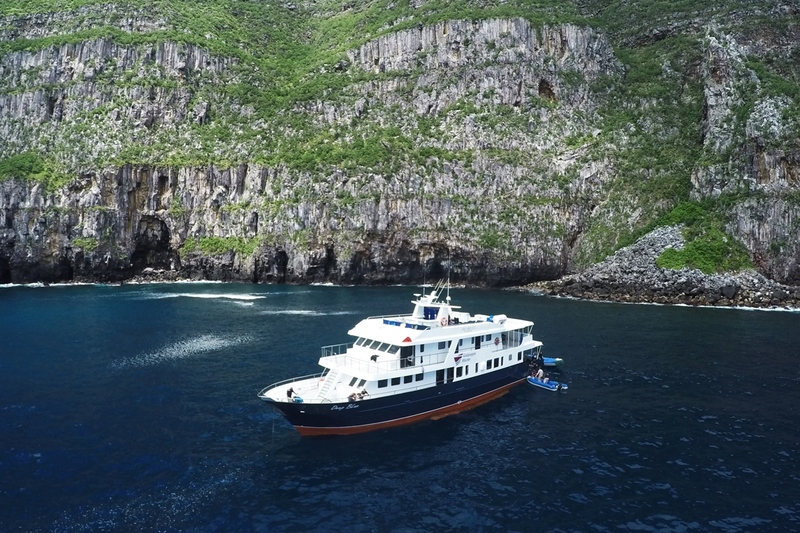 The experienced captain, 10 friendly crew and dive masters will lead you through the trip whilst helping with any questions or queries you may have regarding the boat or the itinerary. 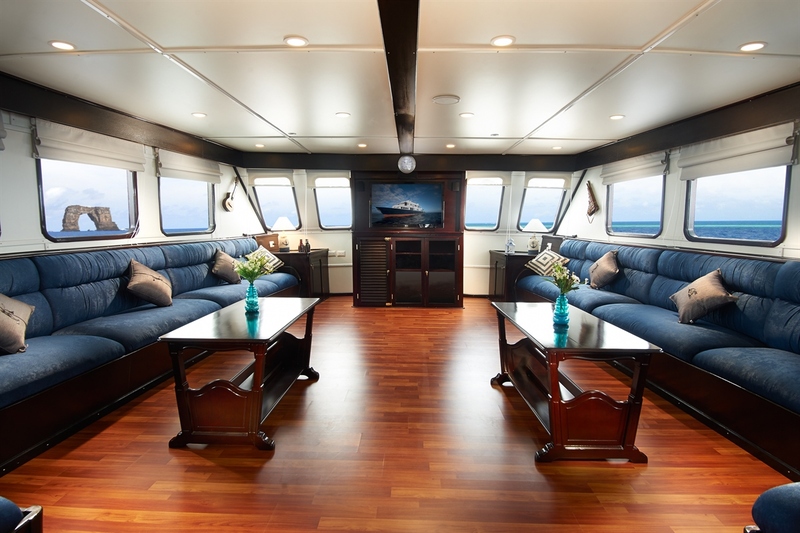 The 8 well-appointed modern cabins accommodate up to 16 guests and are located over the lower and upper deck. 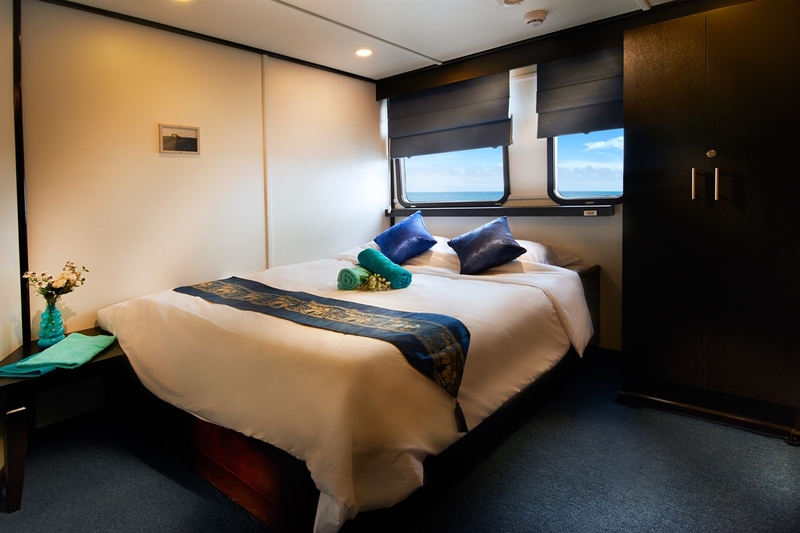 All cabins come with TV/DVD, en-suite bathrooms, reading lights, cupboards, hairdryer, towels and an air conditioning unit. The food aboard is a variety of international and local cuisine suiting the needs of most customers. Dietary requirements must be stated at the time of booking so the chef can adhere to any guest’s needs. 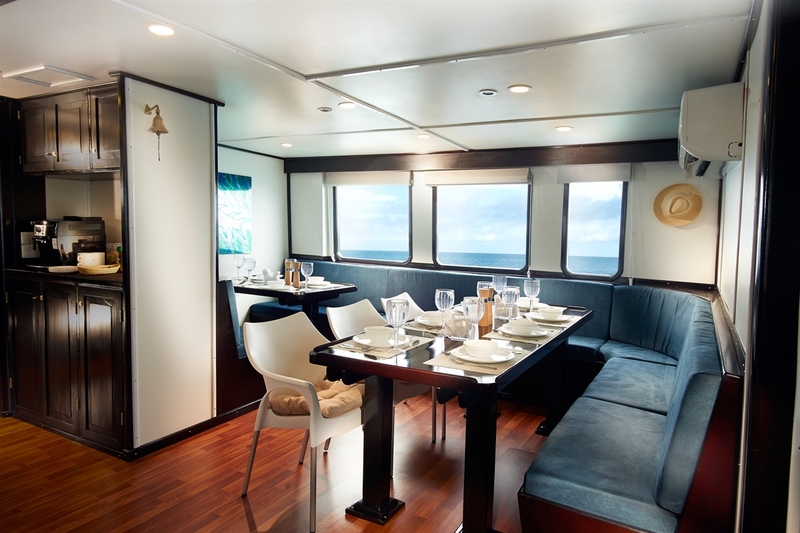 The dining area provides ample space for all divers to enjoy 3 meals a day and is complete with a cocktail bar. Adjacent to the dining area is the spacious lounge that is furnished with cushioned seating and a plasma screen for movie and photo viewing. 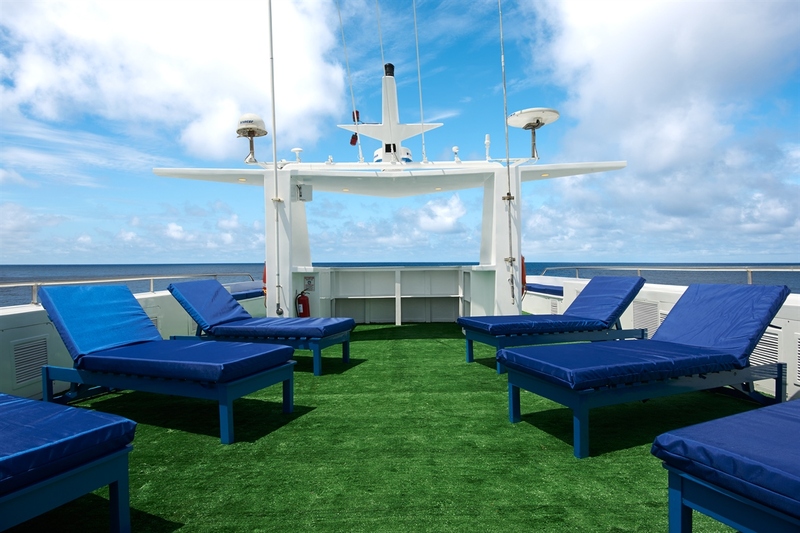 The sundeck is the perfect place for you to relax on the cushioned loungers that are provided for your comfort. 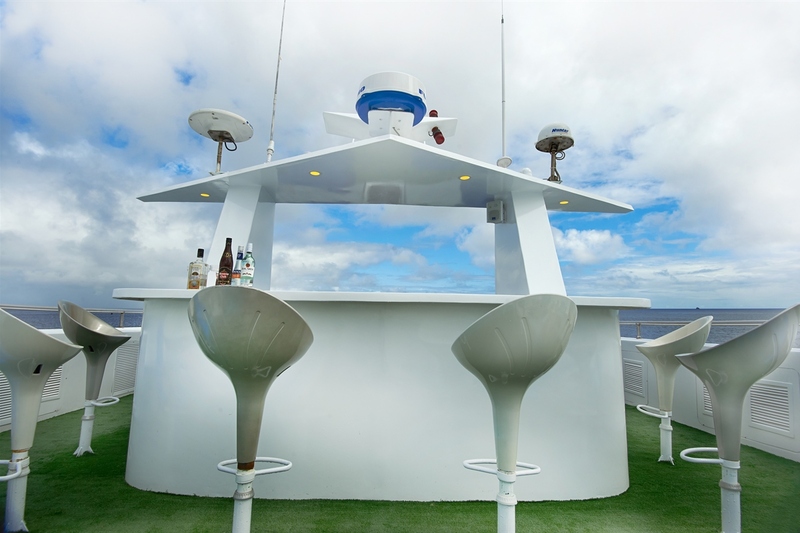 The dive deck has individual gear lockers, a camera table, charging stations, rinse tanks and freshwater showers. 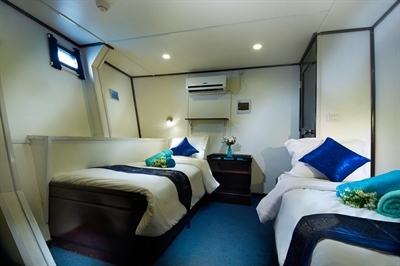 There are 8 twin cabins which, if needed, can be adapted into double cabins. All the cabins are en suite and have individually controlled air conditioning units as well as wall fans. 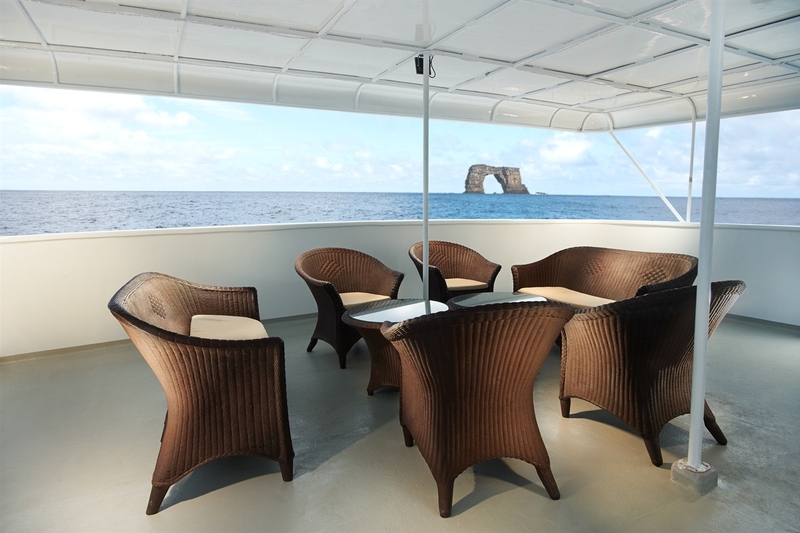 The Galapagos Master offers 7 and 10 night itineraries around the Galapagos Islands departing from San Cristobal. 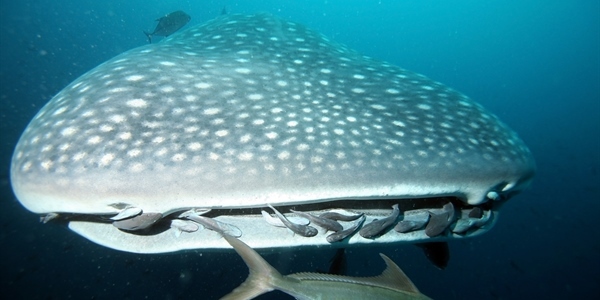 She will take you to some of the best dive sites where you will encounter Galapagos sharks, turtles, tuna, eagle rays, hammerheads and whale sharks being possible from June through to November. 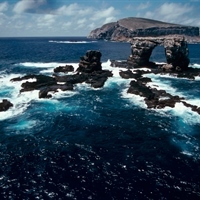 The Galapagos Islands are located in the Pacific Ocean 605 miles off the west coast of South America. 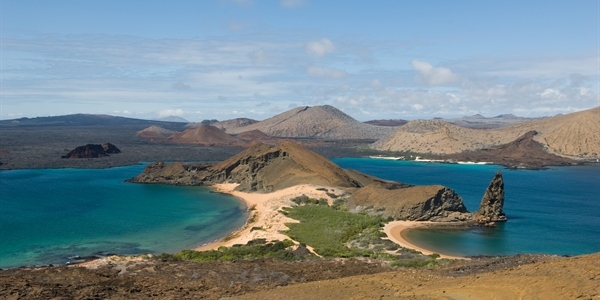 Ecuador to the east of the islands is the country the archipelago belongs to and where you will board your domestic flights to the Galapagos Islands. Punta Carrion: is a 12 to 28 metre dive where sightings of white tipped sharks, stingrays, eagle rays, turtles and sea lions are always seen. Wolf Island: is a 12 to 28 metre dive that has 1 to 3 knots currents which attracts many schooling hammerhead sharks, marble rays, green turtles, eagle rays, silky sharks, groupers, octopus, wahoo, tuna, snappers and many more. Darwin Island: is a 12 to 28 metre dive that has 1 to 3 knots currents and is similar to Wolf Island. Sightings include snappers, jack, turtles, whale sharks and the occasional manta rays and orcas. 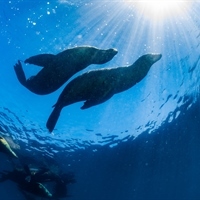 Douglas Cape: is a 6 to 28 metre dive done with Galapagos penguins, marine iguanas, flightless comorants, sea lions, horn sharks, seahorses, creole fish, snappers and many more. 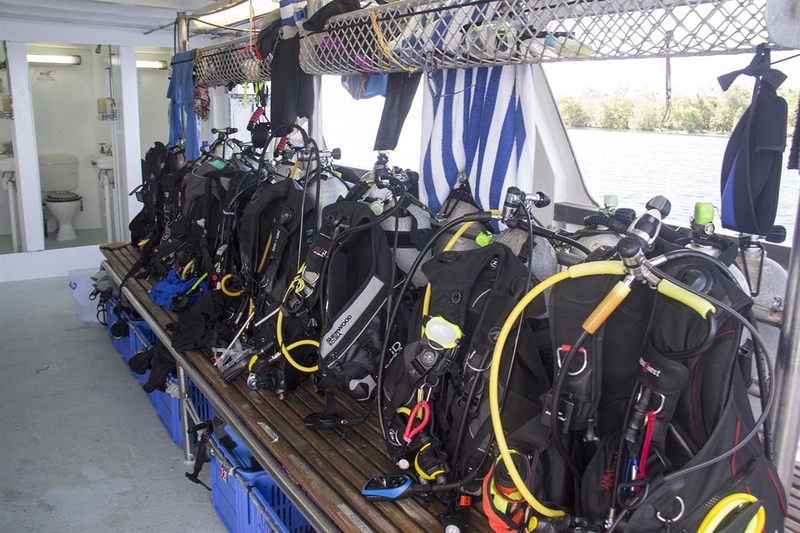 Please Note: Dive sites are selected by the captain and may vary due to weather conditions and logistics. 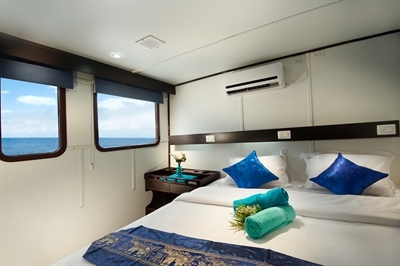 Battery charging station, fish id and diving books, warm- water showers, spacious dive deck. 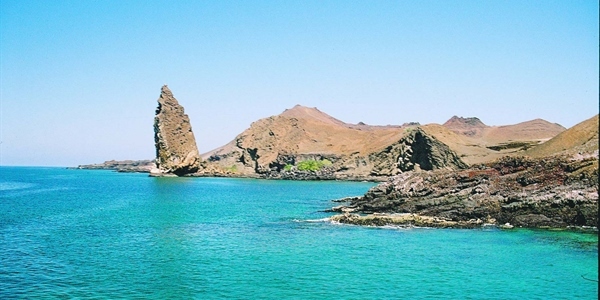 This Galapagos dive site is on the northwest side of Santiago Island; here divers will see a wall full of Galapagos ‘endemic’ species, black coral with lots of life on it, sleeping Green Sea Turtles and the biggest Sea Horse of the Pacific. 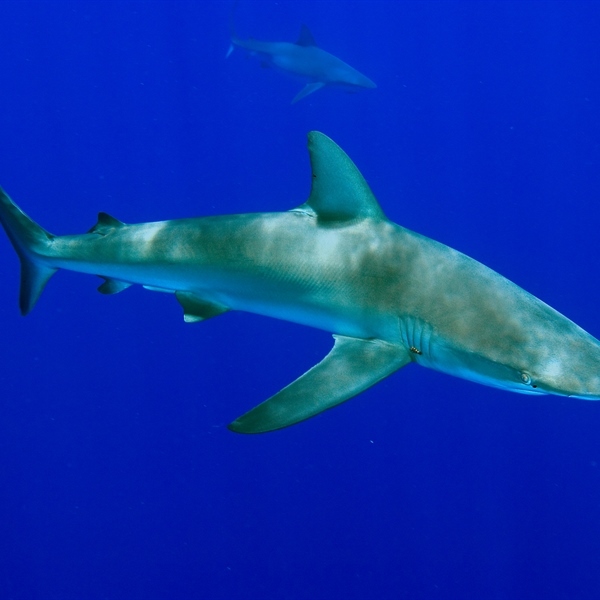 Divers are likely to encounter small schools of Hammerhead Sharks, Eagle Rays and very often-Pacific Barracudas and playful Sea Lions together with Fur Seals. 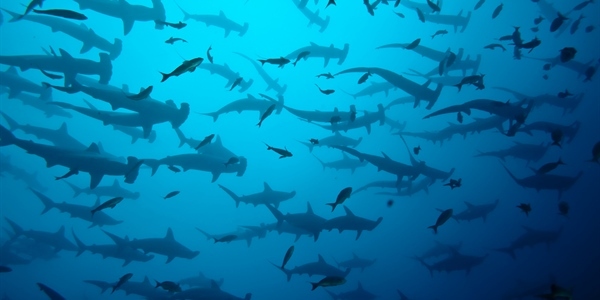 Hammerheads and mantas are a common sight. Chevron barracuda, snappers, groupers and occasionally thick schools of the endemic brown-striped salema are part of the resident underwater fauna. The infrequent presence of oceanic white tipped sharks, blue and black marlin makes this a dive with lots of potential surprises. Situated just off the east coast of Santiago Island, Bartolome is instantly distinguished by the huge tower of rock off its northern coast. The Pinnacle and the narrow isthmus divide the island in two. Here a wonderful sandy beach is a favourite nesting site for green turtles. 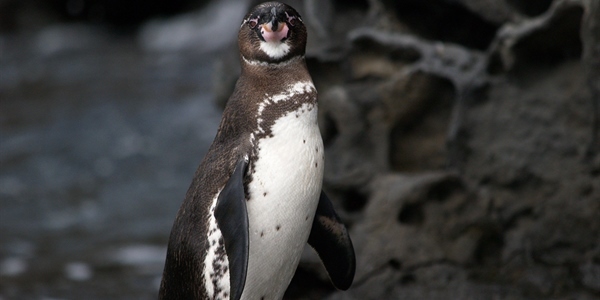 Here you can expect to see Galapagos Penguins, Marine Iguanas, Flighless Cormorants, Sea Lions, Seahorse, Sea Turtles, Horn Sharks, Red Lipped Batfish, and occasional hammerhead sharks and white tip sharks. Also keep an eye out for chevron barracuda, snappers, yellow fin tuna, rainbow runners, and wahoo. There are also a lot of smaller fishes like creole fishes, parrot fishes, scrawled filefishes, pacific box fishes, and tiger snake eels. Our coldest yet rapidly increasing favorite dive – steep, deep vertical wall covered in soft coral, sponges, and endemic black coral. Regular sightings of mola mola (oceanic sun fish,) sea horses, bullhead sharks, red lipped bat fish, various shrimp and many other marine invertebrates. Keep your eyes open for fly bys from the flightless cormorants, penguins and maybe even a marine iguana. Our after-dive panga ride offers great topside photo ops for penguins, flightless cormorants, marine iguanas, sea lions, blue footed & nazca booby Birds, magnificent frigates and noddy terns. Expect to see sea lions, marine iguanas, sea urchins and several species of common Galápagos fish, like surgeonfish and blennies. Sightings of green sea turtles, stingrays, octopi, and scorpionfish are common. Northeastern shore of Isabela, expect regular manta ray sightings! Manta City is where you can dive with manta rays. Strong currents and remoteness. Northern tip of Isabela. Popular dive site for marine life.